Awesome! bought for my 17 year old that still loves his spidey! Marvel Spiderman Burst Plush Twin Blanket, 62" X 90"
Enjoy comfort and coziness with this Marvel Spiderman Burst Plush Twin Blanket year round. Perfect for around the house or while traveling. This super soft and plush throw blanket makes the perfect gift. 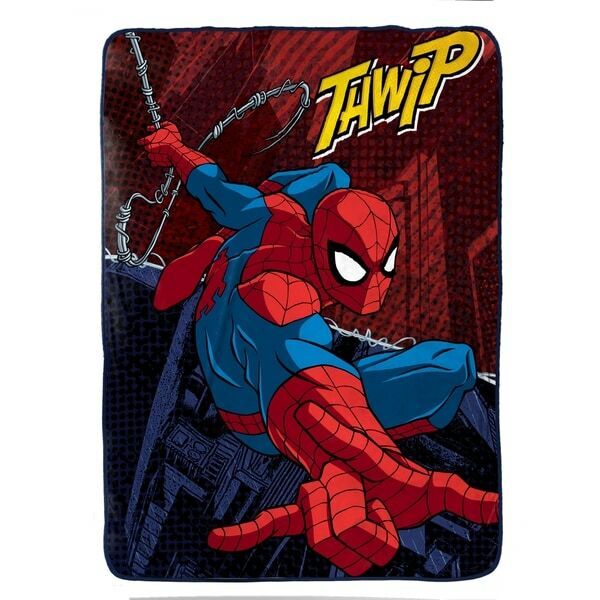 Blanket features iconic Marvel superhero, Spiderman, in a bold and colorful design. Blanket measures 62" x 90". Easy care, machine washable polyester. Imported.